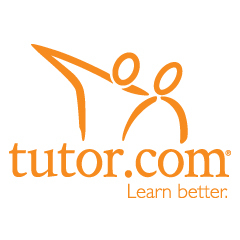 Tutor.com is a fully online tutoring service. You can get a tutor in more than 40 subjects including Math, Science, Social Studies, English, AP ® Support, Foreign Languages and Business. Tutoring sessions take place in our easy-to-use online classroom, which runs in your web browser. Use your Warwick Public Library Card to access tutor.com. Click here to get started using Tutor.com! Get help understanding math from Algebraic expressions to geometric formulas to derivatives. Science homework help is here. We’ll help you understand everything in bio, chem and physics. Brush up on writing, vocabulary, literature and more with an English tutor. Proofread your papers, too. Don’t let history repeat itself. Know your stuff before the next test with a social studies tutor. Excel in advanced classes and score better on AP subject tests with expert help from a tutor. We can help you study for the SAT, PSAT, ACT and SAT subject tests. Perfect your foreign language skills online to shine during class conversation hour. Get the formula for success from our business tutors.